A way up to one of the most prominent mountains within the city, from where you can catch views from most of Rio. Do exercises while you make your way up one of Rio’s most incredible views. Hiking duration is approximately 2:30h and is considered advanced hike with a bit of light climbing. We recommend that you wear light clothes and hiking shoes. Bring a small backpack with water, snacks, sunscreen and a cap or hat and money for any extras that you might want. The tour date might change depending on weather conditions and other variables. 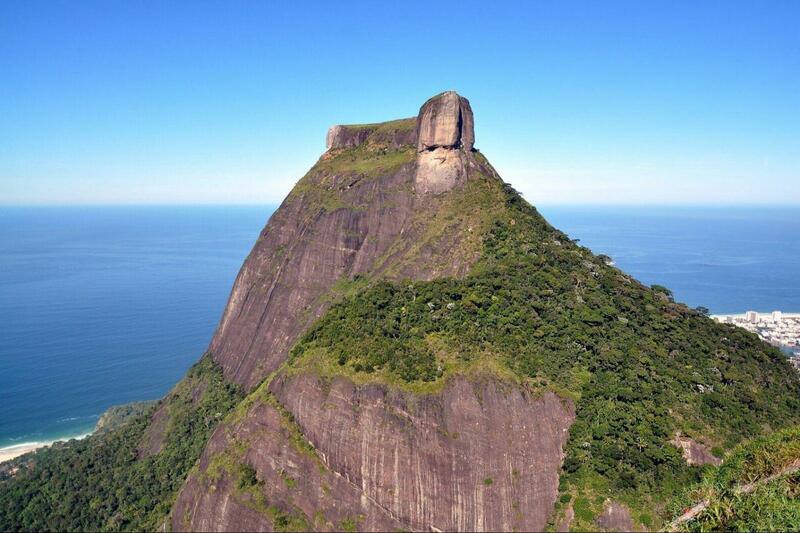 The Gavea Rock (Pedra da Gávea) hiking is one of the most startling and rewarding of all tours. The summit stands at 842m / 2763ft above sea level. After picking up from hotels, the vehicle gets to the starting point. The ascent takes around two and a half hours and, once close to the top, you will probably feel the butterflies. Besides a steep but short scramble (15m / 49ft) and a few walks on the edge of precipices, there is nothing to fear. It’s all perfectly safe and doable by anyone. From up there, you will have 30/40 minutes to enjoy the view of Tijuca Forest, Pedra Bonita, Rocinha favela (one of the world’s biggest ghettos), São Conrado beach, Cristo Redentor, Sugar Loaf, Rodrigo de Freitas Lagoon and Barra da Tijuca is simply wonderful. Then you will follow the way back to the bottom and get back to the vehicle which will drop you off at your hotel.